In Africa’s Horn, at the southern tip of the Red Sea, the tiny desert nation of Djibouti is finally starting to get the attention of serious scuba divers. Far-flung sites, giant filter feeders, and only a handful of tourists make a Djibouti liveaboard a unique scuba experience. This little-known destination shares the same plankton rich waters as Sudan, making it a seasonal hotspot for large pelagic species. The region’s best dive sites are in the north, around the remote and uninhabited Seven Brothers Islands. Divers can expect powerful currents, delicate corals, and plenty of macro life. The real attraction is almost guaranteed whale shark sightings between October and December. With only three boats operating in the area, you may never see another group. 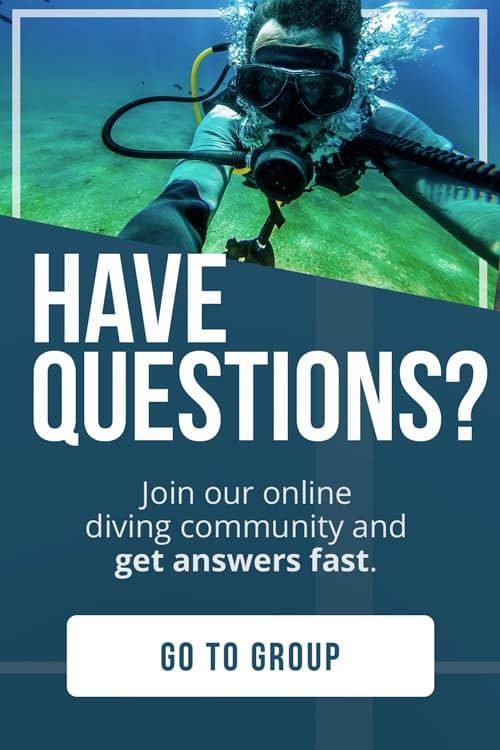 Here at The Adventure Junkies, we aim to help you take the plunge in this rising star dive destination while you can still have it all to yourself. 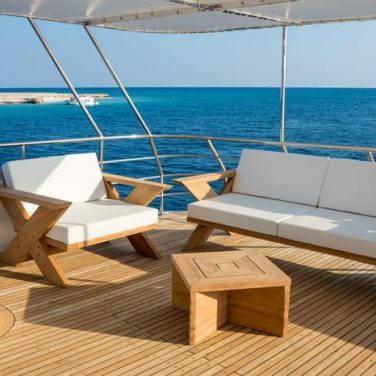 The region’s best mid-range option is the lovely wooden hulled Elegante. 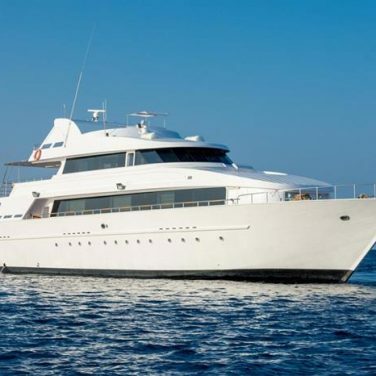 With only seven cabins, this liveaboard offers a family style experience perfect for sociable divers. Leisure areas throughout the boat offer sun, shade, air conditioning, and plenty of room to stretch your legs. Updated diving facilities and a zodiac add to a comfortable underwater experience. When your day of diving ends, kick back and relax with an outdoor dinner and drinks. 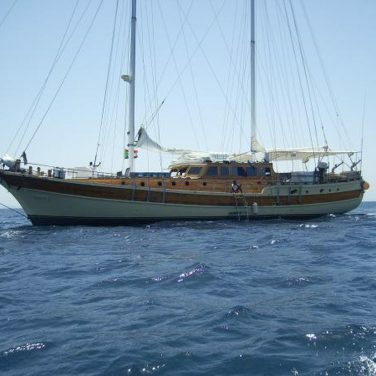 Italian-operated, this boat features an excellent mix of international cuisine. 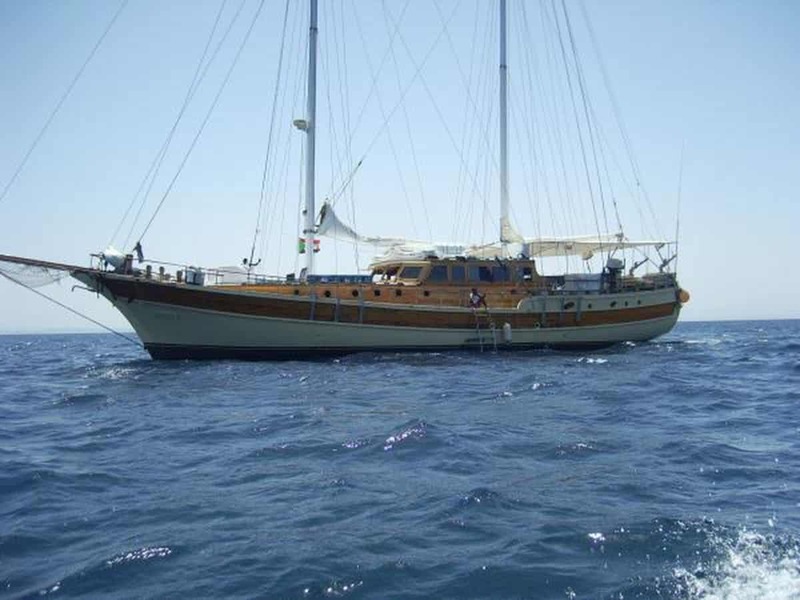 The upper deck is perfect for an evening of star gazing or chatting about the next day’s dives. Some itineraries feature special pricing for children and non-divers, making this a good option for families. The Lucy is a 120-foot monohull steel yacht designed with seasoned divers in mind. All cabins come equipped with luxury amenities like air conditioner, en-suite bathroom, mini fridge, and charging stations. 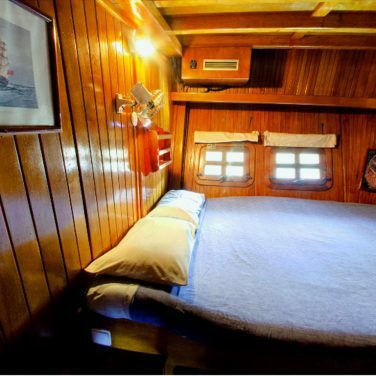 This boat offers 2 single cabins, perfect for the solo adventurer. A spacious dive deck, three onboard compressors, and multiple dive tenders make it easy to spread out while gearing up for your day in the water. After hours, relax in the salon or sun deck and enjoy fine cuisine and cocktails. Free wifi makes it easy to keep in touch with friends and family, or even share your best photos of the day. 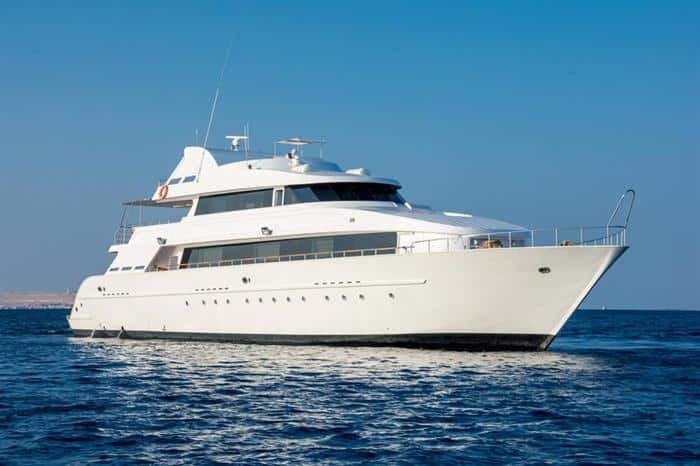 Djibouti has a very distinctive liveaboard season, corresponding with good weather and the presence of feeding whale sharks. The best months for diving are from October to December, with a shoulder in September and January. Visitors can expect a hot desert climate year-round, and very little rain throughout the diving season. During these months, water temperatures will vary between 79°F (26°C) and 86°F (30°C). With such warm water, it may sound tempting to pack a shorty suit, but full wetsuits are a better choice. Tropical water and plankton blooms can attract large colonies of stinging hydroids, similar to jellyfish. A lycra body suit offers plenty of protection. Don’t own your suit, or aren’t sure what to pack? Check out our scuba diving wetsuits 101 article for help. No Djibouti liveaboard experience is complete without a whale shark encounter. These harmless filter feeders cruise in the shallow waters around Goubet al Kharab from October to December, making them super accessible for diving and snorkeling. This gathering, known as an aggregation is only possible thanks to giant blooms of plankton. Both adult and juvenile sharks migrate to this annual event and remain in the area for months feasting on these minuscule organisms. Groups do encounter whale sharks on dives but don’t count on it for every tank. Many opportunities to swim with the world’s largest shark take place on the surface between dives. 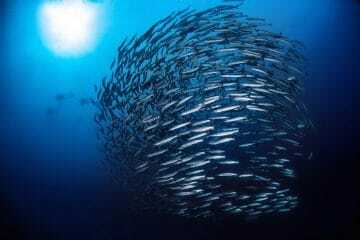 Their slow pace makes them easy to observe and photograph, even from the deck of your liveaboard dive boat. If you spot sharks on the surface, your captain and crew will slow down, get everybody ready and in position, and tell you when to enter the water. A gentle splash will ensure a better experience and more time for swimming with the sharks. If threatened, the shark will descend and become difficult to spot again. Remember that whale sharks are a gentle and harmless endangered species. Choose an environmentally responsible liveaboard operator and keep your interactions with the sharks passive. Where in the world is Djibouti? Sandwiched in between Ethiopia and Somalia, it can be easy to miss on the map. This region receives few visitors, and getting there can be a bit tricky. Expect at least two stops, one in Europe and the other in Istanbul or Dubai. Though plenty photogenic, land-based tourism has yet to develop in Djibouti. With so few truly wild places left on earth, your visit will be well worth the extra effort. Once you’ve arrived, entering the country is easy. Travelers from most destinations are eligible for a visa on arrival, and the entrance fee is $90. 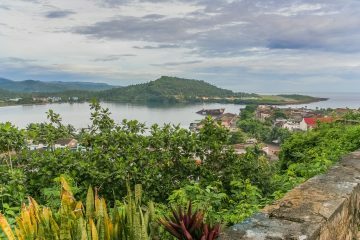 Because there is little infrastructure for tourists, your best bet for transportation to the coast is to pre-book a transfer via your liveaboard operator. Though tensions do occasionally run high in the region, Djibouti is a safe place for travel. Thanks to a significant Western military presence, this country is among Africa’s most secure. Violent crime is uncommon and there are no major travel advisories or warnings in place. Of course, you should always use common sense when traveling to prevent crimes of opportunity. Divers should always carry insurance that will protect them in case of an underwater emergency. In a remote liveaboard destination like Djibouti, this is even more important. Most policies include extra protection for your trip including luggage replacement and medical evacuation. Standard plans from Divers Alert Network come with plenty of coverage. It’s important to remember that most countries have more conservative traditions than our own. Modest dress, avoiding alcohol, and practicing good manners will keep you in good graces with the locals. 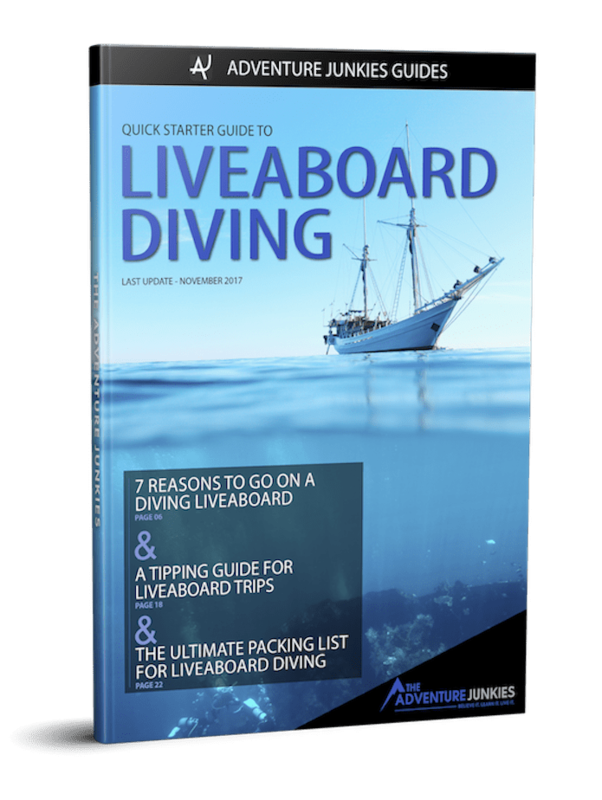 Most employees in the tourist industry, both on and off your liveaboard, rely on tips. If you receive outstanding customer service, feel free to leave a gratuity. 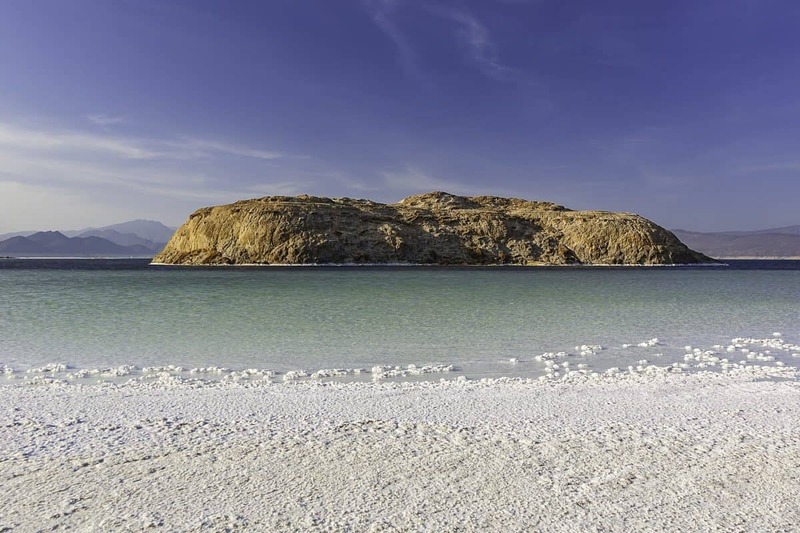 Djibouti is a fantastic destination for newbies and seasoned photographers alike. Because the whale sharks feed in such shallow water, they make excellent photo subjects. You may be able to capture well-lit images, even without a strobe. The southern Red Sea isn’t famous for coral cover, but over 200 species exist in the area. Healthy fish stocks and plenty of macro life mean that you’ll never run out of wildlife to shoot on your dives. Sharks, mantas, dolphins, and the elusive “Djibouti Giant” nudibranch can be spotted seasonally. Whether you’re in the market for your first camera or looking to upgrade, we’ve got you covered. Our guide to scuba diving cameras will help you find the right equipment for your budget and skill level. Getting to Djibouti can be a bit expensive, but once you arrive, it is a budget-friendly destination. If you are planning any above-water tourism, your best bet is to book ahead of your visit through your liveaboard operator. 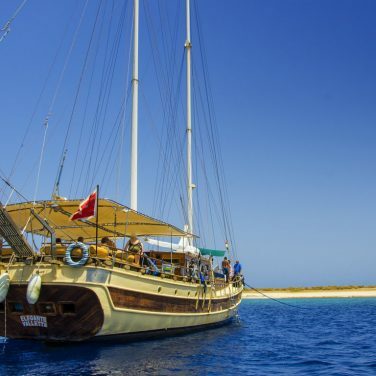 With a variety of boats operating in the region, there is an itinerary suited to every budget. Due to the far-flung nature of Djibouti’s best dive sites, trips are seldom shorter than 6 days. With similar voyages on all boats, prices are reflective of onboard luxury, not which sites you visit. Remember that you can spend as much as you want on luxury perks for your liveaboard. Before booking, make sure that you will use the amenities offered on your particular boat.